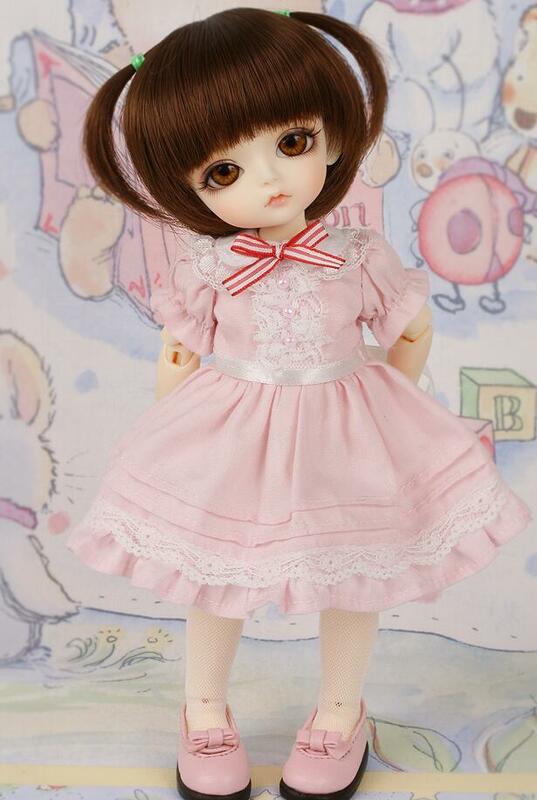 The price on our website is only for the basic doll.Makeup,wig,shoes, outfit on the photo are not included. The skin color you can choose normal ,white or tan. Other skin color need to contact us. If you want to add the makeup for your doll,please choose the makeup/ face-up option. The makeup shown on official photograph is the default makeup,we will provide a similar makeup as the default one,NOT THE SAME. Custom makeup is available.You need to send the pictures of the makeup you want to us before placing order. Eyes in random color are our gift for your doll. Actual product may differ from the photographs. Doll skin, face-up and product color may appear different depending on viewer's monitor settings. We'd like that you could read our "buyer reading" and FAQ page and think carefully before placing an order. In order to avoid some mistakes please confirm your order details with us by live chat or email before placing it. The processing time for a doll go with makeup is about 25~30 days,the processing time for a doll go without makeup is about 7~15 days. If you are in hurry, please contact us to check the prcoessing time for the doll you want to buy. Shipping time depends on the shipping way you choose. We usually use FedEx or DHL to ship our doll. Shipping time is about 7-10 days. The CUSTOMS DUTY is a tariff or tax imposed on goods when transported across international borders. It is not included in our price. You need to pay for it. If the package be destroyed or returned for the reason that you don't want to pay for the Customs Duty, the money of your order will not be refund. If there happens shipping damage or shipping mistake of wrong item, please contact us through MESSAGE / EMAIL immediately.The accident must be reported within 3 days since the package is arrived. If the product you received is not as described or has some other problems, you should contact us first,when we consider the issue as our problem you can return it within 7 days since the package is arrived.Then you will get a full refund.The return shipping fee will be paid by you. You can also negotiate about a refund that you and us are all accept,then you keep the doll,we refund you the money we negotiate well. Your kind understanding on above notices would be much appreciated. There are some very important information on our FAQ page, please kindly read them before you placing your order. This product was added to our catalog on Tuesday 10 December, 2013. Anyone want to get one doll for free? Join our contest! Copyright © 2019 BJD Shop. Powered by Zen Cart. Zen cart templates by Picaflor Azul.